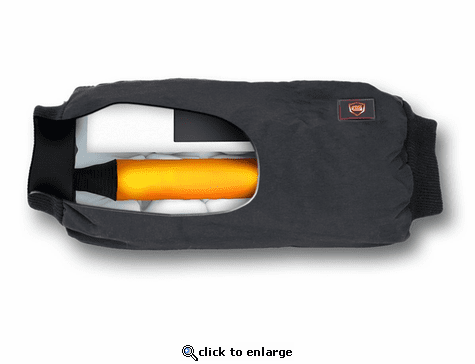 Gerbing's Heated Hand Warmer is perfect for any cold weather activity. This wonderful hand warming muff includes a lithium ion battery and charger so you can keep your hands warmer than ever this winter! The CORE heated handwarmer allows you to keep your hands warm without being restricted by gloves. Using our Microwire Heating Technology, the handwarmer reaches extremely warm temperatures giving your hands and fingers a safe haven from the bitter cold outside environment. Includes Gerbing 7 Volt Rechargeable lithium battery with a built-in microprocessor controller. In 1975, a motorcyclist rides to work at an aeronautical machine shop. It's frigid, wet, and blustery. The faster he goes, the colder he feels. The machine shop owner and engineer is inspired; Gerbing heated clothing is born. For over 40 years, Gerbing has been the industry leader in developing heating technologies to overcome cold weather conditions. The Gerbing patented Microwire system is composed of thousands of conductive filaments 1/10th the thickness of a human hair. Each garment is controlled by a sophisticated power management & distribution system. Use only the Battery Harness sold by Gerbing Heated Gear. Using the Battery Tender harness that may already be installed on a motorcycle is not recommended for powering Gerbing gear. Note: If using the Battery Tender harness you will need to use a female adapter, and will need to confirm that the Battery Tender has the correctly rated fuse selected for your gear combination. Note: By using this method, you bypass Battery Tenders built-in safety provision. If you are only using one harness, we recommend that you install a Gerbing Battery Harness and use the male adapter to charge your battery. We recommend that you keep both harnesses. Install a Gerbing Battery Harness to provide power to the Gerbing gear and use the Battery Tender harness to charge your battery. 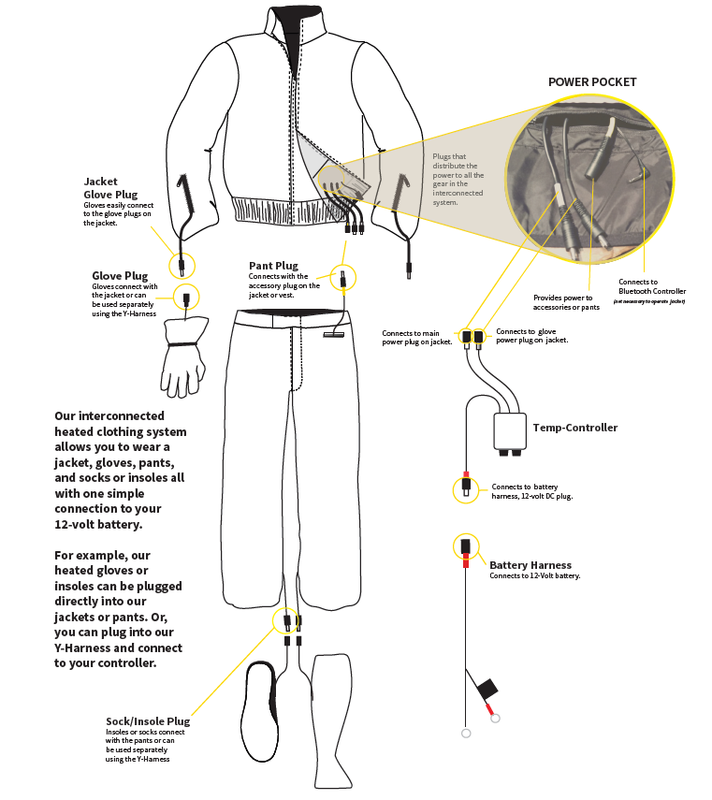 If Gerbing Heated Gear will be worn by both rider and passenger, install two Battery Harnesses to the battery terminals and use two controllers to control each person's gear. NEVER switch on Gerbing heated gear if the motorcycle engine is turned off or running below the indicated engine speed. Damage to the gear and electrical system may occur. Heated gear must be used in accordance with the manufacturer's specifications and instructions. Use the Gerbing 12-volt plug-in heated gear on a 12-Volt DC circuit only.